The following excerpt is taken from Criminal Investigation: A Practical Handbook for Magistrates, Police Officer, and Lawyers, by Austrian professor and magistrate, Hans Gross. 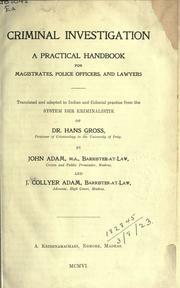 The original 2-volume work was published in 1893; this is from a 1906 edition, “translated and adapted to Indian and Colonial practice” by John Adam J. Collier-Adam, both barristers in Madras, India, and available online at archive.org. * This section has no paragraph divisions; I have added some for better online readability. “On the other hand, the presence of the weapon is for the most part quite indifferent; it is common to find no weapon beside persons who have undoubtedly committed suicide. This is generally attributed to the theft of the weapon by those arriving first on the scene, the weapon used by a suicide being usually supposed to produce superstitious effects. The following is a most instructive case. Early one morning the authorities were informed that the corpse of a murdered man had been found. At the spot indicated, in the middle of a bridge crossing a rather deep stream, the body was found of a grain merchant, A.M., supposed to be a well-to-do man, face downwards with a gun shot wound behind the ear. The bullet after passing through the brain had lodged in the frontal bone above the left eye. His pocket-book was missing and the seam of the inside pocket in which it was usually carried was ripped up, as if the pocket-book had been rapidly and violently snatched out. His watch and chain were also missing, of the latter the ring attaching it to the waistcoat button was alone left. A policeman stated that A.M. had been seen the evening before in a spirit shop, were he drank with moderation and left about 10:30 pm, stating that he was about to return home. To reach his house he had to pass over the bridge where he was found dead. In the spirit shop there was at the same time as A.M., an unknown, wretched-looking man, who throughout the evening drank but a single glass of spirits and left shortly after A.M. The latter had several times taken out his pocket-book, which appeared well-filled, though no one could say whether he had any money or how much. The supposition was therefore natural that the unknown had followed A.M., murdered him on the bridge, and robbed him; he was accordingly searched for, arrested, and brought to the spot. He denied all knowledge of the crime and said he passed the night in a barn, which however he could not point out to the police. Just when the inquiry was concluding and the corpse was about to be removed after the post-mortem, the Investigating Officer observed quite by chance that on the decayed wooden parapet of the bridge, almost opposite the spot where the corpse lay, there was a small but perfectly fresh injury which appeared to have been caused by the violent blow on the upper edge of the parapet of a hard and angular body. 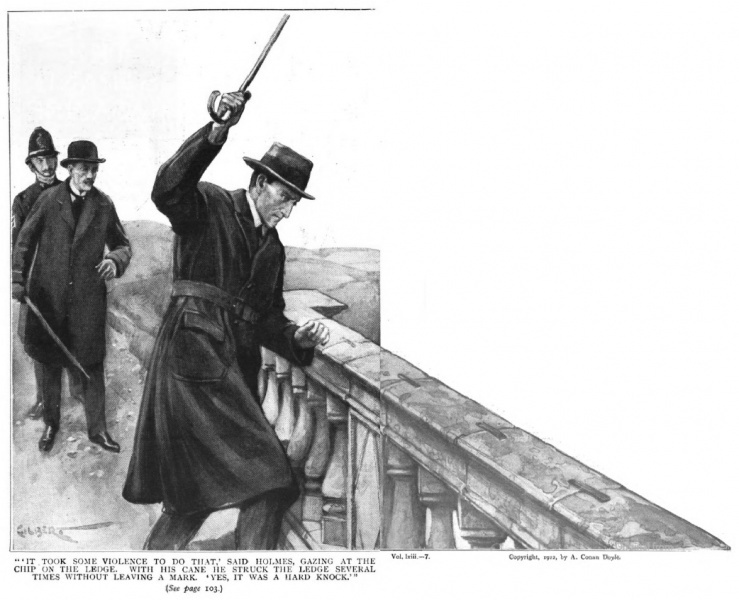 He immediately suspected that this injury had some connection with the murder; examination with a magnifying glass showed nothing important, but it was impossible to avoid the impression that here the murderer had thrown something into the water and thus damaged the parapet. Accordingly the Investigating Officer determined to drag the bed of the stream below the bridge, when almost immediately there was picked up a strong cord about 14 feet long with a large stone at one end and at the other a discharged pistol, the barrel of which fitted exactly the bullet extracted from the head of A.M. The case was thus evidently one of suicide; A.M. had hung the stone over the parapet of the bridge and discharged the pistol behind his ear. The moment he fired he let go the pistol, which the weight of the stone dragged over the parapet into the water, but the pistol had struck violently against the parapet in passing over and so caused the injury observed. Experiment showed the trick to be quite easy and that the parapet was damaged every time. Subsequent inquiries disclosed that the pistol actually belonged to A.M., that his affairs were hopelessly involved, and that he had just effected an insurance on his life for the benefit of his family for a large sum. As the company did not pay in cases of suicide, A.M., had adopted this means to conceal the suicide and lead to the belief that he had been murdered. As the astute Sherlockian (are there any other kind?) no doubt recognizes, Sherlock Holmes handled a similar case in October of 1900. It’s highly possible that he had read Gross’ work in the original German, perhaps in its first edition–or a later English translation–and thus knew to look for the chip in Thor Bridge…. This Week in the Agony Columns…. If Sherlock Holmes happened to be glancing through the agony columns on March 21-26, 1881 (and we have no reason to believe that he didn’t) here’s what he would have seen….. Took her time, didn’t she? That’s a wide time frame…and one of the more suspicious-sounding ads so far…. Sounds like a good idea, really. Let’s hope Mlle. Doignon read the papers. Title page from yet another edition. Obviously. I deny the position. I maintain, that the theory is repugnant to the received principles of jurisprudence; as known to the best foreign writers on the law of evidence. I maintain, that it is not warranted by experience,–the greatest proof of every rule, the proof of proofs. And I may further assert, that it is new to the practice of English law. The next occasion on which this doctrine appears, is on the celebrated trial of Captain Donellan, in 1781, before Mr. Justice Buller, in the passage already quoted. But he was altered the position a little, by shifting the criterion from facts to circumstances. Facts, before, were the standard of truth; circumstances are now made to be so. For circumstances cannot lie. But what else are circumstances but facts, or minor facts; and I must take the liberty to say, that circumstances are still more liable to deceive, or to lead to deception, than even facts. A fact being more an object of sight, is easier apprehended by the senses than a circumstances; which, from its triviality, often escapes the attention altogether, is misapprehended, or assigned to a wrong cause. The trial in question, will afford a most unparalleled illustration of the truth of this observation; it will show the fallibility of circumstances, and the very opposite conclusions which different men will draw from the same appearances. Or substance might be called, which shadow seemed. Sir Theodosius Boughton, a young man of a delicate constitution, had sent to a country apothecary’s shop for a draught of medicine. Different vials appear to have been in his chamber, at the time he took he draught; which was intended to be a composition of rhubarb, jalopy, and lavender water. He was suddenly seized with convulsions in his stomach, and foaming at the mouth; and expired before he could give any explanation. On rinsing one of the vials, the sediment gave the effluvia of laurel water, which is known to be a strong poison. Convulsions, foaming at the mouth, and sudden death, are the natural effects of that liquid. But every man who dies in that way, is not, therefore, poisoned. The apoplexy will produce the same effects and appearances: of which disease, the father of the young man was known to have died. No evidence whatever was produced as to the existence of the laurel water. Captain Donnellan [sic], the brother-in-law of Sir Theodosius, was living in his house at the time of the accident. He was the next heir to the estate, and accordingly, the person who had the most immediate interest in his death. He certainly betrayed some uneasiness on the event, and appearances indicated that he was afraid of being suspected as the author of the mischief. But, if it was natural that he should be suspected, if the cui bono points out the actor of a nefarious deed, it was not unnatural that he should find himself placed in circumstances of peculiar delicacy, and manifest embarrassment and confusion in his conduct. Captain Donnellan was brought to trial, on a charge of poisoning Sir Theodosius Boughton. The leading point in every case of this sort, is–did the deceased die of poison? For, if he did not, there is an end of the whole. Where there was no poison, there was no poisoner. But this was altogether a question to be decided by the opinion of medical men. From what then did they form their opinion? From any of those broad marks, respecting which all men judge alike. No; there was nothing of the kind to guide their judgment. The whole cause turned on circumstances; and conjectures supposed from circumstances never proved. Four physicians inspected the body, on dissection, the eleventh day after the death. They gave their opinion to the jury, and described the circumstances on which that opinion was founded; the four said, they believed him to have died of poison. 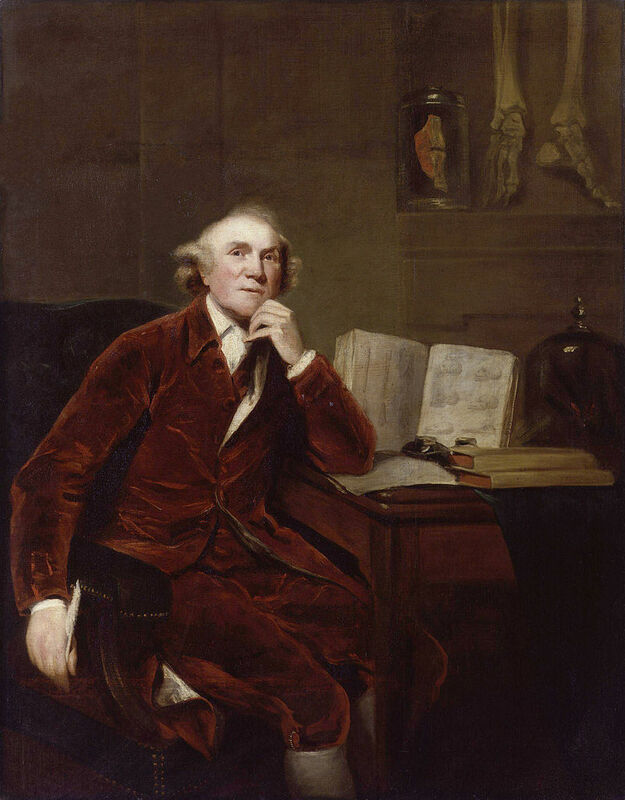 The circumstances on which they had given their opinion, were stated, at the trial, to Doctor John Hunter, the most eminent physician of the age. He declared he could not discover, in any of those circumstances, nor in all of them united, any sign of the deceased, having died from poison, nor any symptoms beyond those incident to a man dying suddenly. In questions of science, and above all, in those of medical science, the faith to be reposed in any opinion, will be regulated by the professional eminence of the person giving it. One man’s sight being generally as good as that of another, as to a mere matter of fact; as whether he saw, or did not see such a thing, the learned and the ignorant are upon a par, and one witness to a face is just as good as another. But the case is very different as to a matter of science; for one man’s judgment will outweigh that of many. 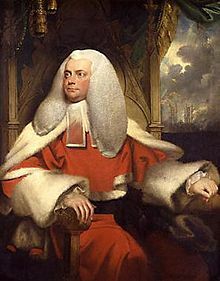 Upon a point of law or equity, we would not put the opinion of a country attorney, or of four country attorneys, against that of a chief justice, Doctor John Hunter stood, at that time, at the very head of his profession; his opinion face the law to that profession, both in England, and in every country in Europe. Had the profession been to estimate his opinion, and not the jury, a very different verdict would have been given. The case referred peculiarly to to [sic] Doctor Hunter’s line of study,–that of dissection, and the appearances incident to a body on sudden and convulsive death. He pronounced, that the dissection had been irregularly made, and in a way not to afford the true criterion to judge by. And, where the process is irregular, when the experiment is defective, the conclusion must always be vague and doubtful. Thus, from an irregular dissection, a positive conclusion was admitted. It is a rule of law, and above all in cases of life and death, that the want of any one circumstance will prevent the effect of the whole. Thus, if the dissection were irregular, the opinion formed in reference to that dissection was a mere nothing. As well may you suppose that proposition itself to be true, which you wish to prove, as that other, whereby you hope to prove it. Post hoc, ergo propter hoc–a species of argument which often leads to fallacy. Because the fact immediately followed; therefore it was occasioned by that which it followed. He died immediately after taking the medicine; therefore, he was killed by the medicine. The present question is, was the process on the trial according to law? Was the conclusion arrived at by regular and legal forms? The grounds on which the legal inference is to be drawn, must always of themselves be clear and certain; there is no presumption upon a presumption; there is no inference from a fact not known. When the judgment of the law is passed in reference to a certain thing, the existence of that thing should be first clearly made to appear. The fact of poisoning ought to have been established beyond a shadow of doubt, before any person was convicted as the poisoner. But the jury, it will be said, were satisfied on this point. 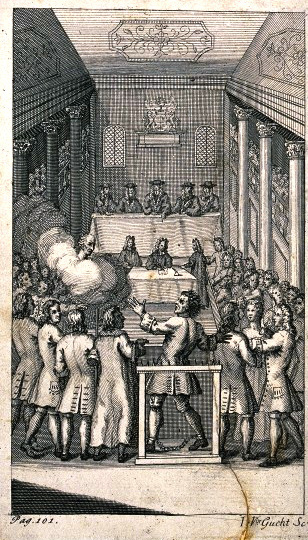 Had the evidence been duly summed up by the judge; had they been told, as they ought to have been, that in experimental philosophy, such as the tracing the effects of a particular poison, in tracing the causes, so many and so complicated that lead to death, if the experiment is defective, if the process is vitiated in one instance, the result is also vitiated and defective. Every practitioner in philosophy is sensible and aware of this truth; and wherever he finds that he has erred in his experiment, he sets the case aside, as affording no satisfactory result, and renews his process in another subject. During the whole course of this celebrated trial, there was not a single fact established by evidence, except the death, and convulsive appearances at the moment. These appearances, Mr. Hunter declared, offered no suspicion whatever of poison, and were generally incident to sudden death, in what might be called a state of health; not only there was no fact proved, but there was not one single circumstance proved. One circumstance was supposed from another, equally suppositious, and from two fictions united a third was produced. The existence of the laurel water was thus made out: the sediment found in the vial, from which the unfortunate young man had drunk, was supposed to smell like bitter almonds; for, as the smell of laurel water was not then known to Lady Boughton, she could not trace the resemblance further; bitter almonds were supposed to smell like laurel water. It is here to be observed, that the smell attached to the vial was momentary, for it was washed out almost immediately, and could not be twice experienced. But what so uncertain as the sense of smell? Of all the human senses, it is the most uncertain, the most variable, and fallacious. It is often different to different men, and different in the same person, at one hour, from what it is at the next; a cold, a slight indisposition, the state of the stomach, a sudden exposure to the air, will extenuate or destroy this impression. But this train of proof was altogether at variance with principles. In law, as already observed, the arguments should be drawn from one reality to another; but here, the argument turned upon the breath, the smell of a woman, distracted at the moment, with the loss of her son, and ready to ascribe that evil to the first thing that came in her way. All proof must being at a fixed point. The law never admits of an inference from an inference. Two imperfect things cannot make one perfect. That which is weak, may be made stronger; but that which has no substance, cannot be corroborated. The question is never what a thing is like; but the witness must swear to his belief, as to what it is. A simile is no argument. Upon the principle, that comparison of hands is no evidence, in a criminal trial, comparison of smells must be held to be equally defective. Besides, there are a variety of articles that resemble bitter almonds in the smell, and many of these altogether innoxious. In circumstantial evidence, the circumstance and the presumption are too often confounded; as they seem to have been throughout this trial. The circumstance is always a fact; the presumption is the inference drawn from that fact. It is hence called presumptive proof; because it proceeds merely on presumption or opinion. 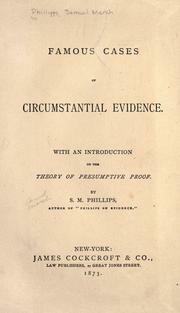 But the circumstance itself is never to be presumed, but must be substantively proved. An argument ought to consist in something that is itself admitted; for who can prove one doubtful thing by another. If it was not laurel water, that Sir Theodosius drank, the proof fails as to the effect; and certainly, some of the usual proofs, some of the common indicia or marks of things, should have been established. Where did the prisoner procure it? From whom did he obtain it? Where, and what time–and by whom, or how did he administer it? [A/N: Footnote containing quote from Quintillan here omitted] Nothing of this kind was proved. But the judgment of the cause from its effects, Mr. Hunter has already shown to be equally conjectural as that formed from its resemblance in smell. The proof proceeds. He was supposed to be poisoned, because it was believed to be laurel water; and it was believed to be laurel water, because he was supposed to be poisoned. We will not say that both of these suppositions might not have been true; yet still they were but conjectures, unsupported by any proof, and formed against all the rules of law. But the accused, it is said, furnished the proof against himself, by his own distrust of his innocence. He no doubt betrayed great apprehensions of being charged with murder; but are innocent men never afraid of being thought guilty? We readily recognize all the general truisms, and commonplace observations, as to the confidence of innocence, and the consciousness of guilt; but, we find, from history, that innocence loses its confidence, when oppressed with prejudiced; and that men have been convicted of crimes, which they never committed, from the very means which they have taken to clear themselves. 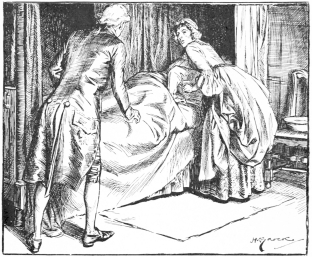 “An uncle who had the bringing up of his niece, to whom he was heir at law, correcting her for some offense, she was heard to say, ‘Good uncle, do not kill me;’ after which time she could not be found; whereupon the uncle was committed upon suspicion of murder, and admonished, by the next assizes; against which time he could not find her, but brought another child, as like her in years and person as he could find, and apparelled her like the true child; but on examination she was found not to be the true child. Upon these presumptions (which were considered to be as strong as facts that appear in the broad face of day), he was found guilty and executed; but the truth was, the child, being beaten, ran away, and was received by a stranger; and afterwards, when she came of age to have her land, came and demanded it, and was directly proved to be the true child. Captain Donellan was liable to suspicion, and to great suspicion, on the general relations of the subject, independent of particular circumstances, and would have been suspected by all the world, had he been never so innocent. In the first place, it was a well-known fact, that he had been obliged either to quit the army (to which he originally belonged), or had been cashiered by the sentence of a court-martial. Secondly, he was of all other men the person who was to have gained by the death of Sir Theodosius Boughton; to whose estate and property he succeeded as his brother-in-law. No other human being had an interest in the case. [A/N: This is not true; however, without real detective work, it is unlikely that the other suspects would have been readily uncovered.] Such is the disposition in human nature (founded perhaps on a too just knowledge of our feelings and principles of action), that first suspicion always points to the person who is to gain by it, as the author of any mischief of which the real perpetrator is not known. The cui bono was not invented by Cassius Severus, to whom it is ascribed,–but every man is alike the rock of the accused, in this respect. If, therefore, it was natural, on general grounds, that Mr. Donnellan should be so suspected, it was also natural for him to be sensible that he would be so, and consequently, to be alarmed, distracted, and uneasy. But it will be said, that, granting all this, he displayed more uneasiness than was even natural to one in his situation. It is a delicate thing to answer this question,–it is a nice thing to fix the standard of human feelings,–and to say what degree of perturbation a man, already branded with guilt and conviction, shall feel when placed under circumstances which make him to be suspected of a capital crime. They who have been accustomed to carry on criminal prosecutions, must be fully aware of the influence which a former trial and conviction is calculated to have on almost any accusation; but in no case can that influence be greater than where the trial turns on presumptive proof. For here it is often the feelings, the prejudices, and opinion of the jury, that supply the want of evidence. 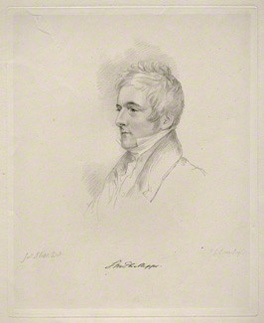 Justice Francis Buller, who presided over the Donellan trial. Suspicion is to be distinguished from proof,–a thousand suspicions do not form one proof. We understand, in common language, by the term suspicion, the imagining of something ill, without proof. It may, therefore, form a proper ground of accusation, but never of conviction: it seems to arise from the general semblance of things, and often from the morals of the individual, rather than from any distinct act. Thus, in the civil law, a guardian is regarded as suspected, whose morals render him so. A suspicion is one thing, and a necessary inference another: a suspicion is an impression on another man’s mind,–an inference is made from the fact itself. There certainly was no overt act proved against the prisoner during the whole course of this trial; it was not proved that he gave the poison, or saw it given, or had such in his possession. 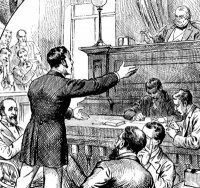 Many things, no doubt, in his demeanor and conversation, gave strong suspicions against him; but, if the civil law positively forbids a man being condemned on suspicion, can that be justified by ours? We have been the more full in our observations on this trial, because it has been so often quoted with a sort of triumph, as forming a model and illustration of the nature of circumstantial evidence. It is an illustration, indeed, of how little evidence one man has been convicted on; but it is an illustration of nothing else. Cooke, Elizabeth. 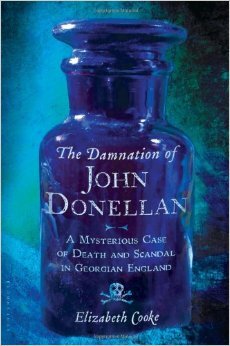 The Damnation of John Donellan: A Mysterious Case of Death and Scandal in Georgian England. New York: Walker and Company, 2011. The saying goes that “only the good die young, ” but on the day that he died, 20 year-old Sir Theodosius Boughton was not exactly a good man. Left fatherless at twelve when Sir Edward Boughton, 6th Baronet, dropped dead, and apparently neglected by Sir William Wheler, the man tapped to serve as his guardian, Theodosius spent his brief time at Eton brawling, overspending, and enjoying all of the charms of female companionship. By the time his mother, Anna Maria, decided to bring him home, he had made one poor decision too many, and contracted syphilis. Until penicillin came on the scene in the mid-1940s, the only treatments available to the syphilitic patient were completely ineffectual and typically involved repeated doses of mercury; both the disease and its treatment caused horrific symptoms, and given the nature of mercury poisoning, one or the other would eventually prove fatal. Sometime during the summer of 1780, Sir Theodosius either contracted a new syphilitic infection, or experienced a resurgence of his first. Whichever the case, Lady Boughton obtained medication for her son from apothecary Thomas Powell. Theodosius found the liquid foul-tasting and balked at taking it, so on the morning of Wednesday, August 30, his mother made sure that he swallowed his daily dose as prescribed. She could not have imagined, as she urged him to finish it, that within minutes her son would be in convulsions, and within an hour, he would be dead. 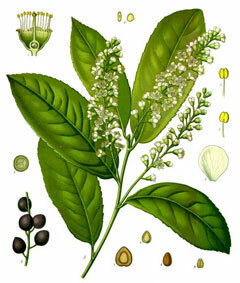 There are many species of laurel, but Prunus laurocerasus, the cherry laurel, is a source of prussic acid, or cyanide. If wagging tongues conspired to have John Donellan suspected, and ultimately arrested, for the poisoning of his brother-in-law, the English justice system of the late 18th century seemed designed to work against him as well. Modern readers used to the notion of “innocent until proven guilty,” and the right to a competent defense will wonder at Cooke’s description of a trial that was highly criticized even in its own time for bias and inadequacy–and which, in our century, would be farcical were man’s life not at stake. Witnesses were coached and intimidated (or not called at all), questions went unasked by both sides, and potential exculpatory evidence was ignored or missed entirely. 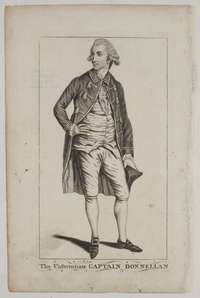 The most useful testimony of all, that of famed surgeon Sir John Hunter, was criticized by the magistrate, Sir Justice Francis Buller, and buried under the weaker evidence presented by several less able colleagues. Still, Captan Donellan maintained his innocence and, on the eve of his trial, was looking forward to being back in London once his ordeal was finished. Devotees of Dateline-style television mysteries are familiar with true crime documentaries that lead viewers to favor one side, only to flip their opinions like pancakes with a new set of information. Cooke begins her story with an in depth description of Theodosius Boughtons’ last hours, taken from his mother’s depositions and testimony. I have read this book twice, and even the second time, I have to say that there appear to have been very good reasons to fear poisoning, and to suspect John Donellan. As the book progresses, however, the weight of reasonable doubt becomes greater and greater, to the point that one wonders if there had never been a crime at all–only gossip which drove weak men, and one weak woman, to the point of sacrificing an outsider on the altar of public opinion. Or perhaps he did it. The Damnation of John Donellan is a deft combination of whodunit, courtroom drama, medical history, and social commentary, stuffed into a compact 254 pages. Thanks her skillful analysis of Boughton family documents and newspapers of the time, Cooke is able to portray Sir Theodosius, Donellan, Anna Maria, and even minor players as real, sympathetic human beings with strengths and foibles. By telling the story chronologically, she keeps up the suspense while providing the reader with the same evidence the jury was given. Made up of well-to-do landowners and tradesmen (though not of the aristocracy), this jury sat in a courtroom which operated quite differently than those the reader might be acquainted with; Ms. Cooke explains the workings of British justice in 1780 clearly, while at the same time pointing out how John Donellan’s attorneys frequently fell below the standard of practice for their own time, let alone our own. For all of the detail involved, The Damnation of John Donellan manages not to be dry; it does, however, lag in places, largely due to the difficulty of presenting the two very different timelines described by Lady Boughton and Donellan himself. The two accounts can be difficult to follow; a chart contrasting both would have been a welcome addition. It may seem to point very straight to one thing, but if you shift your point of view a little, you may find it pointing in an equally uncompromising manner to something entirely different. Given his success in “The Adventure of the Blanched Soldier,” we also know that Sherlock Holmes did not discount medical information in favor of more sensational interpretations. *** He may have come to see Sir Theodosius’ death as due to a coincidental seizure or other event, either completely unrelated to his purging draught, or accidentally triggered by it. Unlike nearly everyone involved in the case (except for the nervous Powell himself), Holmes would not have ignored the possibility that at least one bottle of the young man’s physick had been mislabelled, or misprepared in some way, leading to a tragically accidental poisoning. Nor would he have forgotten a phial of medication Sir Theodosius had allegedly ordered made up for himself which contained Occuli indicus berries, a known convulsant–commonly prescribed for mercury poisoning. Coming across this case as a boy or a young man–and it is likely that he did–Holmes would also have been struck with the difficulty of reconciling witness testimonies and timelines, and he may well have wondered, as does Cooke, what role John Donellan’s social status (particularly when contrasted with that of the Boughton family) played in his arrest, and his treatment in court. As an adult, Sherlock Holmes was no respecter of persons, nor did he see women as necessarily virtuous; a thorough reading of the Donellan case and its critics would have only added another layer to this foundation of his character. 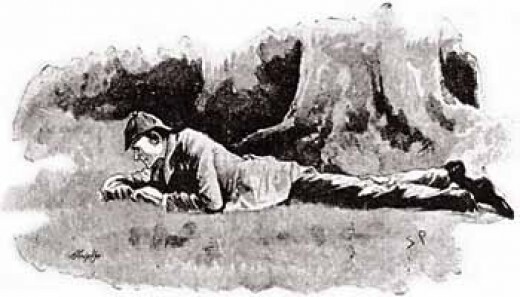 In most crime stories–including the cases of Sherlock Holmes–focus tends to shift very quickly from the victim to the list of possible perpetrators. In her conclusion, Cooke brings us back to Sir Theodosius, reminding us that he was only twenty years old when he died, still quite capable of emerging from a protracted adolescence to fulfill the responsibilities which were his inheritance, every bit as much as Lawford Hall. 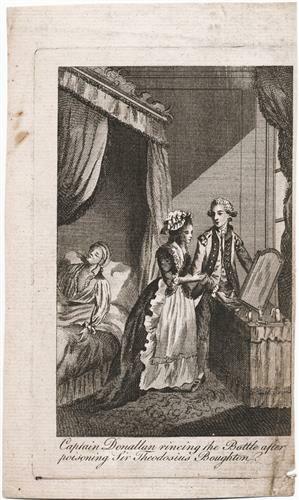 The reader might be forgiven, however, for looking past the body on the bed to the man and woman by the fireplace, holding empty bottles, staring at each other with frightened, suspicious eyes. The Damnation of John Donellan is available from all major booksellers, in hardback, paperback, and e-book formats. Elizabeth Cooke, who also writes fiction, can be found on both Twitter and Facebook. You can learn more about her work on her website, http://www.elizabethcookeauthor.com. Those interested in primary sources on the trial of John Donellan can read (free of charge) The Proceedings at Large on the Trial of John Donellan, Esq., for the Willful Murder (by Poison) of Sir The[odosius]…Boughton…. at https://archive.org/details/b20443602. Interestingly, A Defence and Substance of the Trial of John Donellan, Esq., the accused’s thorough answer to the evidence presented against him at trial, which was published and sold by his attorneys, is currently only available as a paid reprint. **It would be revealed after his trial that Captain Donellan did, indeed, distill laurel water, which he claimed was used for foot lotion. Cooke points out that Lady Boughton is the only person who reported a bitter almond smell associated with her son’s medication, although Dr. David Rattray, one of the physicians involved in the (worthless) attempts to autopsy the body, also mentioned an acrid smell coming from the corpse. What Cooke misses, however, is the fact that not everyone can smell cyanide. Figures range from 50% to the “one in ten” mentioned in this article from the National Institutes of Health (http://www.ncbi.nlm.nih.gov/pmc/articles/PMC2043049/). 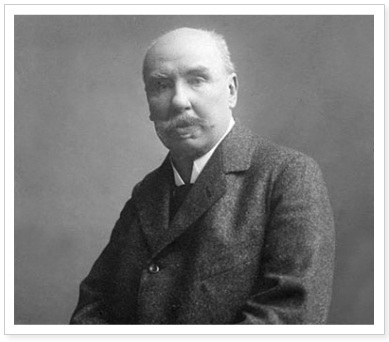 It is, therefore, quite possible that Anna Maria Boughton was right, and the phial did contain laurel water. Who put it there, and with what intent, would be another matter entirely. ***Of course, in “The Adventure of the Creeping Man,” the solution is both medical and sensational. You don’t know about me without you have read a blog by the name of The Well-Read Sherlockian; but that ain’t no matter. 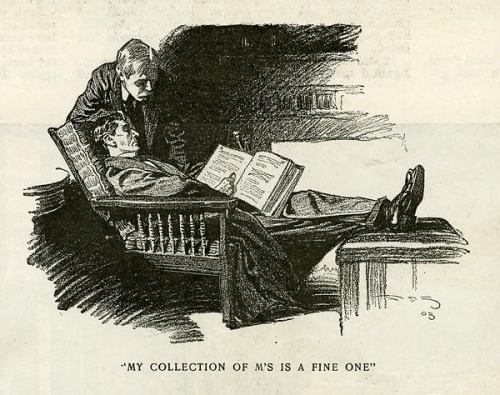 I began that blog in order to be better able to share my love of Sherlock Holmes–and, more particularly, Sherlockian reading material–with anyone and everyone whose souls reside, at least partly, where it is always 1895. One of the most wonderful aspects of the Sherlockian world, however, is that a passion for the Great Detective often leads to other, just as consuming, interests. I know people who have followed his stealthy footsteps into drama, art, music, the sciences, costuming, gaming, public speaking, and writing–both fiction and non-fiction. Just about anything that can interest a human being, one can find in Baker Street. It is a slight quirk of mine that, as much as I love fiction, what really fascinates me are the tantalizing bits of reality one can find in any story. It’s what compelled me, at the very last minute, to change my college major from English to history, and what led me, very early on in my Sherlockian life, to explore the world of Conan Doyle himself, and to wonder what bits of truth lay behind the case details Dr. Watson readily admits he obscures. Then, of course, there is his knowledge of crime itself. In that same list, Watson tells us that Holmes “appears to know every detail of horror perpetrated in the century.” We know from his mention of Jonathan Wilde in The Valley of Fear that the doctor should have included the 18th century as well. Holmes spends a good deal of time wandering through the less salubrious areas of London, making the acquaintance of men like Shinwell Johnson–as well as “the most winning woman I ever knew” (who murdered her children for the insurance); Parker the “harmless” garroter, and “my old friend Charlie Peace.” From them, he gains not only sources, but knowledge of how human beings think and behave, particularly when they’re being no better than they should be. Over the last few years, as I’ve read and reviewed Sherlockian fiction, I found myself wanting to branch out a bit, to include different types of books which any well-read Sherlockian might find interesting. Some I could reasonably include in the WRS blog–a book on cocaine, another on the real man behind Birdy Edwards. Others…didn’t fit as well, and may have detracted from that blog’s stated mission. Nor did I always wish to review them; sometimes I just wanted to share an interesting passage, a useful old book, an exciting Sherlockian connection, for ultimately the Sherlockian world is all about excitement and connections and sharing. This blog, then, isn’t about the adventures Holmes and Watson may have had, or might still be having. In The Commonplace Books, I hope to take you into the world of 221B–or at least a sordid little corner of it–to sit down together while we page through the indexes and scrapbooks, to see what Sherlock Holmes knows about crime and detection–and to wonder, occasionally, what he thought about it. There will be occasional reviews, excerpts, musings, clippings–anything and everything covering crime from the moment Cain struck Abel in the fields until the 1950’s. Please note that, given the subject matter, this will inevitably be a more adult blog, although I aim to keep it suitable for the 16-and-older crowd. I don’t plan to post gory crime scene photos, although I may provide links for those who are interested to follow at their own discretion. All entries with potentially disturbing content will be labelled as such, and comments will be heavily moderated. Remember, of course, that everyone mentioned is innocent until proven guilty–and, occasionally, when proven guilty as well. *For the tragic story of how Sherlock Holmes came to realize that detection was his “line of life,” see “The Gloria Scott” in The Memoirs of Sherlock Holmes.